Deeper Shades Recordings’ second release comes from Gyasi in the form of an ode to the dancers… and the dancers should be pleased! The hypnotic beats and simple funky synth lines draw the listener into a unique headspace and create a thick atmosphere sure to heat up the floor and get the dancers open. Lars Behrenroth gives the piece enough room to breathe and grow into a slow burning gem. Jojoflores takes the beats even deeper and rearranges the composition into a dancers’ paradise. His edit is more driving and urgent, leaving no one against the wall. This is a absolute floor filler. 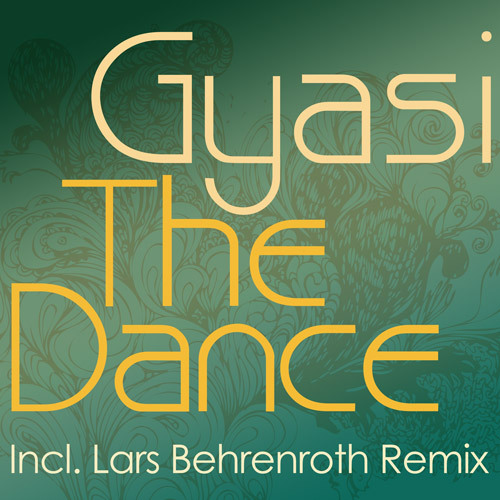 Gyasi’s Tap remix rubs in the dub flavor to perfection. Echoed out in true Jamaican dub style, this mix will sit nicely in the sets at the finest dub nights currently blazing across Germany and the rest of Europe. If you were in Miami for the WMC 2008, chances are you heard this tune in quite a few places. Early support by Marques Wyatt, Mark Grant, Jamie Thinnes, Jimpster, Boddhi Satva, Rafael Moraes, Djinxx, DJ Pope, DJ Minx, Pablo Martinez, Kiko Navarro, Rocco, Franck Roger and more. Never being one to follow the crowd, DJ Gyasi has blazed a trail from coast to coast hammering crowds with his deep soulful sounds. Born and raised in Tulsa, Oklahoma, Gyasi has gained the reputation of being the embodiment of deepness. He currently resides in Las Vegas and holds a residency with Red at the Foundation Room. Deep beats with relentless intensity, The Dance is a fine follow up to Yes Smoke for Lars Behrenroth’s Deeper Shades Recordings. The deep journey continues!